Xiaomi is preparing yet another budget smartphone for the Indian market and this time around, it’s under a new smartphone series: Redmi S. The Xiaomi Redmi S2 with dual cameras, HD+ 18:9 display, powerful Snapdragon 625 SoC and Face Unlock features is heading to the Indian market very soon as per a new report. Xiaomi has a plethora of budget devices in the Indian market ranging from the Redmi 5, Redmi Note 5, Redmi Y1, Redmi Y1 Lite, Redmi 4 and Redmi 5A, and the Redmi S2 will join these devices. The Redmi S2 will be launched in China and India, but it might launch in India first before heading to the Chinese market. Folks at xda-developers have managed to grab this information from the firmware files, which revealed the device’s launch in India and China. The Xiaomi Redmi S2 will flaunt an 18:9 display with 1440×720 pixels resolution. However, the screen size of the smartphone is unknown at the moment. The firmware files revealed the device would be powered by the Qualcomm Snapdragon 625 SoC, which was previously present on smartphones such as the Xiaomi Redmi Note 4, Redmi Note 5, Mi A1 and Mi Max 2. And Xiaomi’s love for this chipset is not going to end anytime soon, and the usage of Snapdragon 625 SoC will allow the device to price aggressively. The chipset will be mated to 16GB of onboard storage, and the RAM configuration is not revealed in this report. However, Xiaomi, in India launches devices in several memory configurations, so we might see a 2GB+16GB variant and 3GB+32GB variant launching. However, we’re not sure about this at the moment. The highlight of the Redmi S2 will be the cameras. The smartphone is said to pack a primary 12MP Sony IMX486 or 12MP OmniVision OV12A10 sensor at the back, which will work in tandem with the 5MP Samsung S5K5E8 sensor. To the front, we might see a 5MP Samsung S5K5E8 sensor doing the job of capturing selfies and video calls. And the report also says that the Redmi S2 will offer EIS (Electronic Image Stabilisation), Portrait mode and Face Unlock mode for unlocking the smartphone. Lastly, the device will pack a 3080mAh battery and combined with the Snapdragon 625 SoC and HD+ display, the device will deliver a complete day worth of battery life on a single charge. The device is also confirmed to run Android 8.1 Oreo-based MIUI ROM out of the box. As stated, the device will launch in India and China as the firmware files clearly mentioned the same. Going by the specifications, the Xiaomi Redmi S2 is yet another budget-oriented smartphone from the company. The major question for Xiaomi lies on the price of the smartphone. Xiaomi has the Redmi 5 priced at Rs 7,999, Rs 8,999 and Rs 10,999. The Redmi Note 5 starts at Rs 9,999 and goes up to Rs 11,999. The Redmi Note 5 Pro comes at a price of Rs 13,999 and Rs 16,999. The only option Xiaomi is left with is the Rs 12,999 price point, which I guess will not be used for the Redmi S2. Xiaomi will not offer an HD+ display smartphone at Rs 12,999 for sure so the Redmi S2 could possibly start shipping from Rs 8,999 for the 2GB RAM+16GB storage option, followed by the 3GB RAM+32GB option at Rs 9,999. We might see the 4GB RAM and 64GB option shipping for Rs 11,999. That said, this device could possibly replace the Redmi Note 5 in the Indian market, but the major letdown would be the HD+ display. 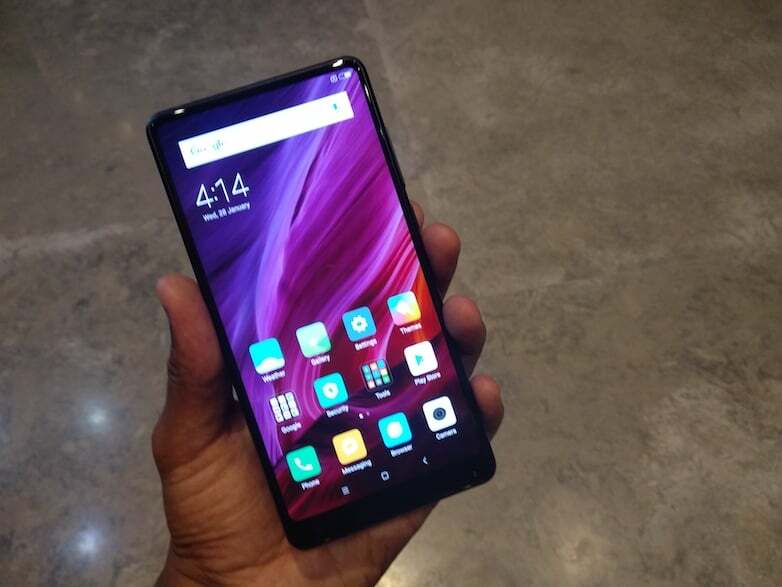 It would be great if Xiaomi launches the smartphone with a Full HD+ display. The Redmi Note 5 received mediocre reception in the Indian market, thanks to the Xiaomi Redmi Note 5 Pro. again they have messed with phone line up like samsung did….